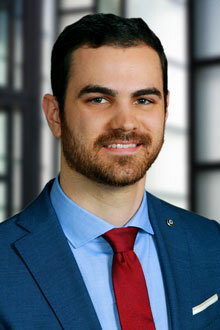 Adam Smith is an associate in the Sacramento office of Lewis Brisbois and a member of the Labor & Employment Practice. Adam attended the University of California, Davis School of Law, where he chose a curriculum focusing on employment law and its intersection with disability rights. During law school, Adam interned for a variety of state and private organizations, gaining experience ranging from prison litigation to legislative advocacy in the wine industry. In his spare time, Adam likes to play music and explore all the beautiful nature Northern California has to offer.